S&OP is a long term game, if not a never ending continuous improvement game. More than once, I’ve witnessed well working S&OP processes collapse within months after a merger, restructure, leadership change or other significant business changes. The process was working; people rocked up to meetings and had meaningful conversation. Information was on the table, some business decisions were made. Systems were working to support meeting, reports, visibility and communication. 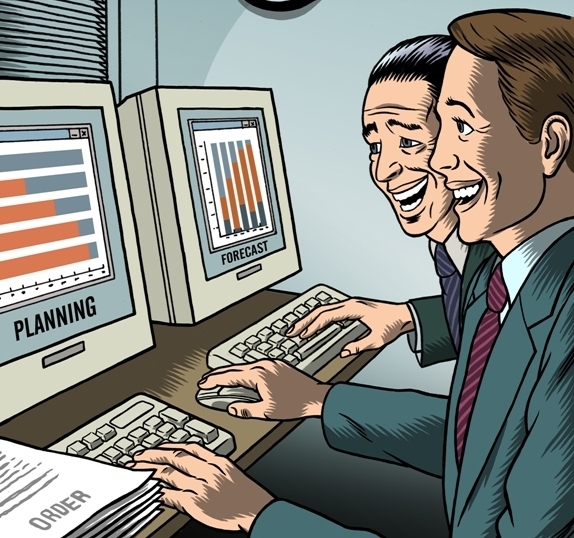 Then all of a sudden, people stopped coming to meetings, reports and information stopped flowing, functions and people went back in to their silos. The whole S&OP system collapsed. According to Collins and Porras in Build to Last, company culture is created from its core purpose and values. According to Collins and Porras; ‘well defined and truly lived, purpose and values will drive companywide behaviour’. Now we can’t change a company’s purpose, but we can define values and integrate those in S&OP, a recurring cross functional senior management process that is well suited to be a vehicle to integrate new or existing values and behaviours. In this way we can impact the culture as ‘imbedded company behaviours will drive a sustainable company culture, which will last over time’. Sounds almost too obvious? Well I’ve seen many large multinationals putting a person without previous S&OP or even planning experience in a senior S&OP role. Something these businesses would never do for roles in marketing, sales or operations. The S&OP process manager needs to be experienced in planning across sales, marketing, supply chain, operations and finance and needs to have a natural tendency to cross silos and operate in these functional areas to build bridges and solve issues. He or she needs to have a long term vision and a passion to create an S&OP culture that goes deeper than running meetings, crunching some numbers and provide reports. Most companies have a set of values and preferred behaviours which guide them in everyday business and decision making. If these values are really lived and not only written in the glossy brochure, it is the basis of a company culture. Values like passion, ambition, collaboration and accountability are very supportive for a sustainable S&OP environment. Highlight those values and deeply integrate them into S&OP meetings, documentation and decision making. If a company has a set of values and preferred S&OP behaviours they think are effective, they also need to hold people accountable to live those values. Why otherwise defining them in the first place? This can mean that meeting participant share feedback after an S&OP meeting if values and behaviours were lived well. Even when discussions are heated, values need to be lived. Preferred company and S&OP behaviours also can be added to induction materials, job descriptions and made part of the interview process. Performance reviews need to be done based on results and the behaviours used to achieve those results. Everybody is most comfortable in their own functional silo. Crossing a silo comfortably and operate in another functional area is not part of everybody’s capability. And crossing silos will not just happen because of external motivators, aligned KPI’s, or senior leaders. Some people cross silos by nature, some will do it with help of external motivators, some with training or coaching and some just will never do it. Cross functional conflict is often based on a lack of knowledge on what another function exactly does and the pressures they are dealing with. This can create a lack of willingness to find common goals and collaborate. Or worse; create a hostile and unproductive environment. A great way to create cross functional understanding is to create an informal environment in a game. 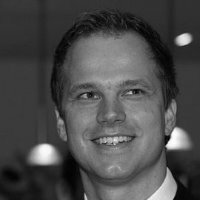 Swap functional responsibilities in games like ‘the Beer game’, or a more advanced simulation like ‘The Fresh Connection’ and increase understanding between functions. On top of this make it a habit to ask; ‘did you cross a silo lately?’ or ‘who is your functional customer?’ and hold each other to account. There is no doubt that the most senior leaders have the most impact to integrate S&OP in the business culture. They have to be energized in S&OP meetings, disciplined, share the bigger vision, cross silos pro-actively, hold people to account and display the right values and behaviours. A passionate S&OP manager will not hold back to have conversations with the most senior leaders to explain this role to them over and over again. It is almost impossible to create a new culture without a critical mass of senior leaders that are supportive. 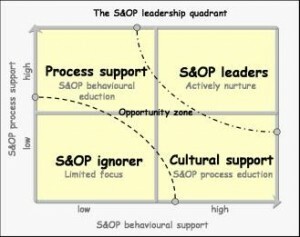 An S&OP manager can use the S&OP leadership quadrant to track senior leadership support. In my S&OP pulse check 2012, only 42% of respondents indicated that their business had a common cross functional goal in improving S&OP. Only 35% had clearly defined what level of S&OP maturity they wanted to achieve. Without goals and targets we don’t know where we’re going and S&OP will be just a little layer on top of business as usual. So set goals for your S&OP process maturity and integrate them in performance conversations. There are many S&OP process scoring methodologies available on the internet. But also have goals and targets for your system capability. Last but not least, have goals and targets for your company culture. There are many models to measure or create awareness in company behaviours, culture or communication styles. Review and update your goals and targets at least yearly. S&OP is going to be a long journey. So plan your communication along the way and make a conscious attempt to show people how the S&OP process and behaviours have helped improved visibility and company performance. Team up with HR and provide monthly S&OP key messages as output of the executive S&OP meeting, conduct S&OP roadshows, S&OP roundtables or S&OP toolbox meetings. Most important, share your S&OP wins on service levels, working capital, asset utilization, projected cash flows or earnings accuracy or any measure that’s important for your business and can be related to S&OP. If you implement S&OP across border, be careful for local cultural aspects. 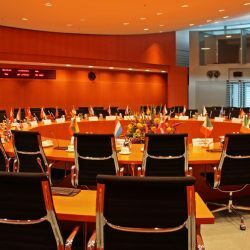 You can change a company culture, but not the culture of a country. Otherwise, start influencing and working on these steps with a long term mindset. Entrenching S&OP in your business culture takes time, results come slow and might not be visible for many. You know you’re on the right track and you’ll be rewarded when a significant business event happens or new senior leaders come in the business and you hear people say; ‘S&OP is the way we work here’.